Currently under construction, this two story, 49,000 sf addition will replace more than half of the existing facility, while renovating two existing classroom wings and the existing gymnasium. This project will also reconfigure the site circulation, creating separate entrance and exits, separate bus and parent traffic, and create a new front lawn. Completed in 2016, this two story, 150,000 sf facility was constructed behind the 1920’s era Ganns Elementary School it replaced. The facility is designed for 950 students and includes Daycare, Pre-K, Kindergarten and grades 1-5. Special care was taken to centralize shared spaces, minimizing travel distances and open the interior to exterior views. The Fine Arts Addition to the Ringgold High School includes a 950 seat performance theatre with a full fly loft, theatrical rigging system, and stage lighting. A 5,800 sf Band Room and two 2,300 sf Art Classrooms are also part of the project. This new 1,800 seat gymnasium includes a weight room, cheerleading / wrestling room, and locker rooms. A new bus canopy ties the addition to the existing facility. 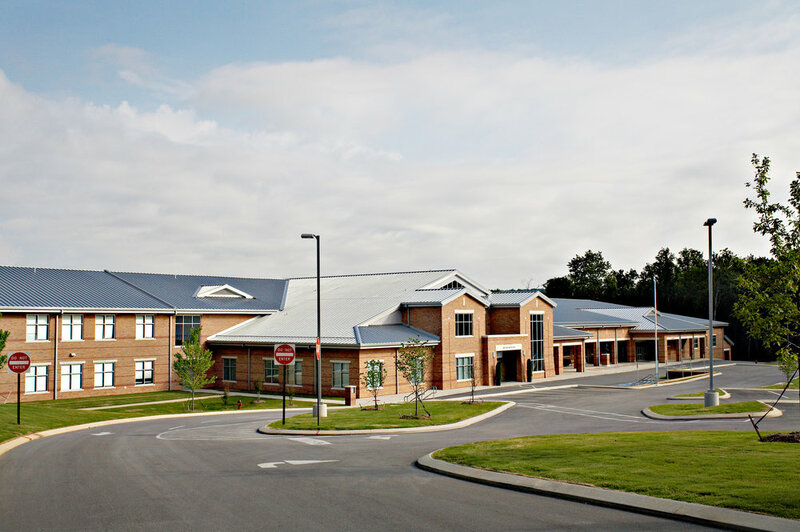 After a tornado severely damaged the Middle School in 2011 this new 42,000 sf 8th Grade Wing was constructed, providing 22 classrooms including art, chorus, and band. The design of the addition is part of a new master plan for future expansion. 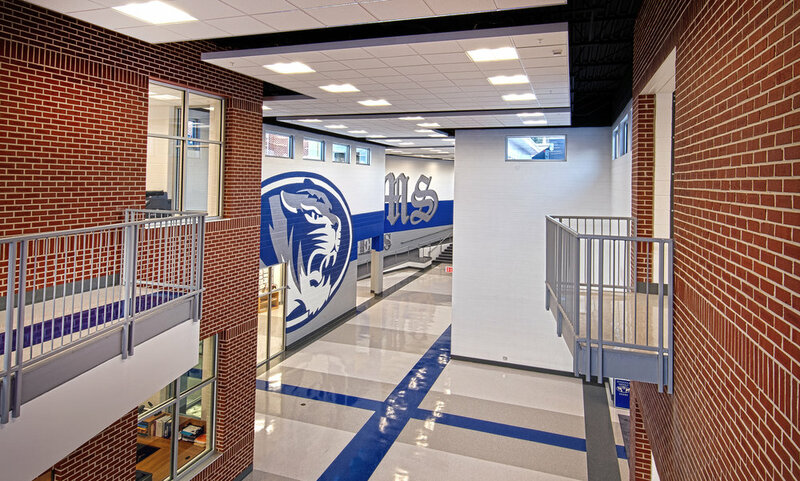 This 250,000 sf comprehensive high school is designed to address the growing enrollment of the Catoosa County Schools. The overall campus includes a 3,000 seat football/track stadium, soccer, baseball and softball stadiums, as well as tennis courts. This 262,000 sf building was completed in 2008 and has a capacity of 1,260 students. The design carefully knits the facility into an existing recreation area. The topography organizes the Middle and High School functions along a major spine while separating academic and athletic areas by floor levels. The structure was built with infrastructure to support planned additions bringing the ultimate capacity to 1500 students. 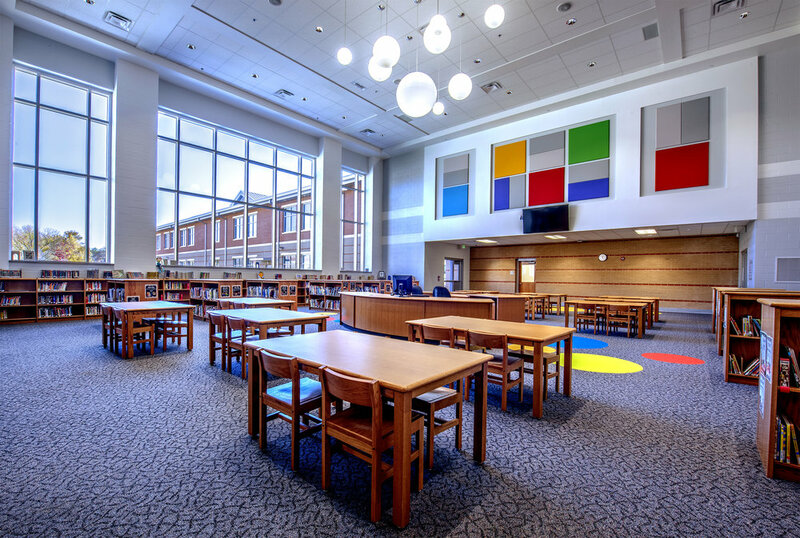 Geothermal wells and careful design detailing have made the school very energy efficient; energy costs per student remain the lowest in Hamilton County.